The title should draw the attention of those who can identify with what it’s like to live day in and day out with a mental illness or a chemical dependency. At some time in the life of an addict, a dual diagnosis is more common than not. We have all had moments of doubt, and that is when we overcompensate for our insecurity without considering the consequences of our actions. The word “relapse” suggests the regression from or failing to quit a self-destructive behavior, or impulsively making decisions that we know are ineffective from past experiences. These impulses are often what isolate us from the structure that gave our lives a sense of normalcy and being in control. It is our decisions that initiate the process and that give that structure its functionality. When our instincts give way to outside influences, we surrender more than just our instincts. Our whole life begins to slowly slip out of our grasp and into obscurity with each choice we make. There are many examples of iconic mega stars who clearly had a problem with substance abuse. Their addiction finally led them into the darkness of doubt, which resulted in death from an overdose. We know a circle of friends probably either knew or suspected the star was in trouble, but did they do anything to intervene? All those who shared their dreams now live in their own darkness because they could not save their loved one. The consequences of our own mistakes can have devastating effects and can send our dreams into ruin. That’s when we may begin to feel the consequences of what we thought was “having fun.” The thing about making mistakes is that some of us accept responsibility and correct it; however, many are quick to blame others because they are afraid of how it makes them look. These people will always have trouble adjusting to their own environment because there is always someone to point the finger at. They will not be able to grow as a person because they are the only one who can fix it, and that would require accepting responsibility for their mistakes. The face of addiction is right there in the mirror, just like any other face, with trials and tribulations just like us but with one distinction – addicts do not know how to stop. One thing that sets an addict apart from any other person who deals with paying bills, a stressful job, a family crisis or two is, despite how many times or how hard an addict tries, (s)he keeps relapsing. The addict starts to feel trapped with no way out of the rut (s)he has gotten into. The only reason addicts are referred to as “functioning alcoholics” is because they can take a drink in a social setting while picking up where they left off the day before. Most addicts have alienated family and friends, are in trouble at work, and everything they love is about to go down the drain because they do not know how to quit. One important thing to remember is that life is about choices. Once someone picks up a bottle, joint, pill, or needle, they have made the conscious choice to give away something very precious. They are pushing away everything they have worked for – home, career, family, self-respect. That education they worked so hard to achieve does no good. They have destroyed the structure that allowed them to take control of their lives and held it all together. They are now on the precipice of becoming an obscure statistic. A person’s identity is completely tangled up in their frame of reference. Our support network and the experiences we go through as we travel through life are what hold us together and keep us alive. Our failures as well as our accomplishments give us the strength to keep going every day. The face of addiction appears one day when we suddenly realize we have lost the trust of someone we care deeply about. This loss of trust did not happen overnight. Our relationship had probably been changing gradually for some time; and by the time we made the connection, we had had enough. Eventually, the only people we seem to talk to are the ones in our circle of buddies, and our lives become stagnant because they are now void of any sense of purpose. We are drowning in each other’s negativity, which feeds the fury within us, day in and day out. Our relationships fail to make any forward movements, like a stagnant, green, stinky puddle of water. Depression fuels the need to hold on to a sense of abandonment because no one wants to hear from us, much less see us. That makes us think that they don’t care about us, so why should we care about them either? This circular reasoning adds more fuel to the negativity and fury we feel. We start to feel like it’s us against the whole world, and it isolates us from the people we love and the things we needed to give our lives purpose. This drives us farther away from the people we love. We use these thoughts constantly streaming through our brain to rationalize our addiction. The only way we can climb out of the darkness that we have been living in is to change the way we have been thinking. We must start by trusting someone with our lives, allowing them to slowly reveal the caring and loving person we have been hiding inside. We must prioritize our daily goals despite being overwhelmed with an intense fear of making the same mistakes. When we can accomplish that, we will begin to regain control of our lives. This journey can be likened to water being continuously purified as a mountain stream constantly flows onward. We begin to resume our responsibilities with the purpose of holding on to the hope that lives within everyone. The amazing thing about such an environment is what we instinctively give to each other by just being ourselves, sharing the love we have left behind. Why you parted ways with each other no longer matters. These people help us stay grounded throughout the time it takes for us to fully recover and put the pieces of our lives back together. The pain and frustration we feel is manifested in our anguish. Their presence is a continuous reminder that we have far too much to lose, and we have accomplished much despite the failures we may have experienced. The journey of rediscovery becomes something like seeing our lives through someone else’s eyes. Others begin to see the change in our step, and they walk out with us with the same confidence. They can hear it in our voices, in watching our tears turn to smiles when we experience a breakthrough moment, and they remain with us every step of the way in our quest to take our lives back. What has now slipped away is the sharp, bitterness we felt. In taking stock of that loss, we will see the value of what we have lost. Only then can we begin to sort out who we really are and what it will take to start our lives over. Research has revealed a strong connection between environmental influences and the degree of instability or the structured stability that ultimately determine whether we will be able to conquer the negativity of our upbringing. The dynamics of our home life consist of a myriad of factors and events which influence how much stability we feel in our own adult lives, ranging from low to high degree. The physiological effects of environmental influences include high blood pressure, organ damage, diabetes, and depression. The more long-term medical issues range from accidents, suicide attempts, several hospitalizations, and physical and emotional abuse issues. There are limits to what a physical body can take, even as our tolerance to our addictions grow seemingly without limit. We start feeling the undeniable consequences of our addiction when our organ function begins to deteriorate. This fuels a fury deep inside us, and we begin blaming everybody for our “I don’t care attitude” about why we have lost everything. The word “stability” suggests there is a degree of balance between each aspect of one’s life. This would include the relationships with those in our lives, our financial struggles, education, and the family values instilled by our parents which give us a sense of belonging and direction and hope of developing some degree of success in life. When we allow outside influences to affect our decisions, the natural outcome will be affected proportionally. Structure is the cornerstone of a stable mind set. We cannot have one without the other. We are the only ones who know what we absolutely need and the role it plays in our identity. Our transition can be more fluid because it is second nature and becomes assimilated into our frame of mind. We are more than likely to slip into a volatile, unstable frame of mind when we were raised in an environment without structure. That instability frequently carries over into adult relationships. Very few people have enough balance in other aspects of their family to retain a more stable adult relationship. One of the many rationalizations is that prescribed pain pills lead to addiction. It is prescribed to take every four hours, but we find ourselves taking another pill as soon as the last one wears off instead of four hours later because we feel “pain.” It is impossible to develop tolerance to the pain itself when we take a pill every time we feel pain. We just end up developing tolerance to the pain pills instead. If we take medication as prescribed, our pain pill threshold should be two every four hours while we develop a tolerance to the pain. But when we take another pill if it wears off after a half hour, we end up taking eight pills instead. Lacking awareness that stability can be maintained while dealing with craving pain medication, and the fact that we could not hold out a little longer because of the panic that one obscure pill will “make us feel better,” addiction to pain medication is at an epidemic proportion. We can always rationalize its use, and independence slips from our grasp to a bottle of pills. Words are an illusion because we are the ones that ultimately give these words their meaning, their substance, their power over us, or the strength that they give us while they manifest themselves in our feelings, passion, emotions, instincts, as well as in our actions. A chemical imbalance refers to the fluctuating degree in our physiological impulses, and the sudden overwhelming imbalance is manifested instinctively through our feelings, passions and emotions. An impulsive chemical reaction triggers the emotions of joy, comfort, courage, love, and the feelings of sadness, fear, discomfort, and hate, which covers the response spectrum. We sometimes think that bad emotions can be countered by ingesting mood altering substances, and we continue trying to feel good quickly because we have lost sight of our own perspective of those good emotions. The consequences quickly escape our grasp, which distorts our perception and affects others in negative ways. It increases the chance that we will continue to make poor choices. We don’t realize that the illusion of a word comes to life as though by magic. Words can trigger a tangible sensation, and that chemical reaction alters our perception of how we see those issues. Our interpretation of the words people use when they refer to us can add substance to our relationship and define that relationship as positive or negative. No one can begin to comprehend what it means to hear your son say “I love you” because it is your son claiming his love for you. In the same way, no one can understand what you mean when you tell your son “I love you” because you are claiming your love for him. We meet many special people as we walk through life – whether it is the kid down the street, a teacher, an aunt or uncle – who represent something that ties us together to an unconditional sense of well-being. These encounters teach us that relationships should be nurturing, encouraging, and help us develop stability in how we see the world. It is these encounters that provide a sense of where we fit in society. When it gives us a better feel for what our options are, and when our decisions make us feel like we are making progress, we begin to feel a sense hope. Only we can decide to continue this course of action because it is helping us feel a sense of empowerment. External influences are a major part of how we can adapt to challenges as they arise, whether positive or negative. These influences can either become a stumbling block or an inspiration to keep going until we accomplish our goals. 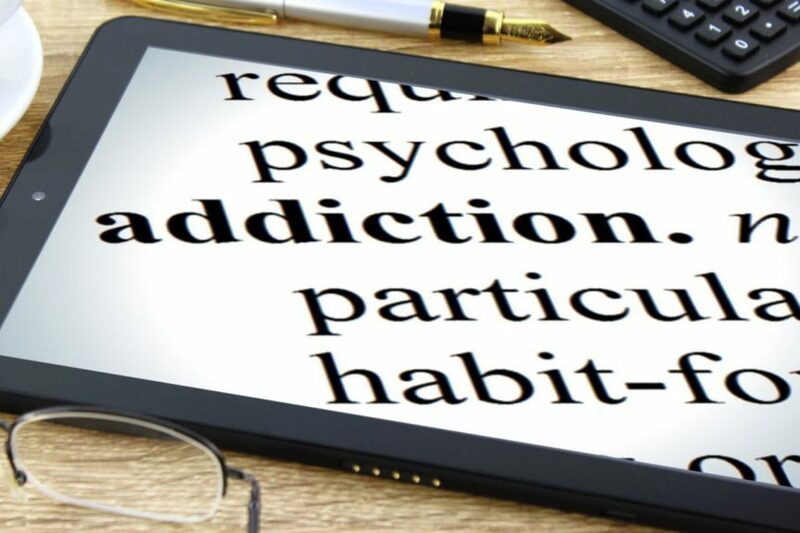 An addiction is difficult to break because of the body’s conditioned response to deal with stressors as they tangibly manifest themselves into a physiological phenomenon. While we are experiencing these sudden manifestations, we immediately think about getting that one thing that has been absent to alleviate the panic. The heart begins to race, blood rushes to the brain, dizziness sets in, and we immediately relapse in a panic, which is why the relapse rate is so high. It is at this point that the present structure we have been operating within begins to crumble. Those cravings become frightening, and we anticipate those cravings which erode our decision-making abilities, feelings, emotions, trust, instincts, and morals. The erosion of our decision-making abilities manifests itself in knowing that we need to quit, but those cravings condition us into thinking there is only one way to stop them. The erosion of our instincts ultimately manifest themselves by how it makes us feel about ourselves as well as the people and things that are most important to us. It isolates us from them without us even knowing what happened. The erosion of our feelings will ultimately manifest itself by the instability within our relationships, and we lose touch with our feelings. We have alienated ourselves from everyone we thought would be there, no matter what. The erosion of our trust will ultimately manifest itself by the lack of structure caused by our own cravings that get in the way of others trusting us, and those so-called friends start stealing from us, which makes us think the whole world is against us. The erosion of our moral foundation will ultimately be manifested by feeling like we are all alone in the world, and when that sense of abandonment totally isolates us from the rest of the world, we are lost without any moral responsibility. These are crucial aspects of our identity which get lost in the shuffle because of our obsession with that one thing we have convinced ourselves that we cannot live without. We start looking forward to being able to access it while we earn the money to get it, rather than those things we need to survive. An extreme example of this is pedophiles, who go to such lengths to keep their obsession a secret because they know it is wrong, and those transient thoughts that become their obsession are reinforced by the lies they keep at the expense of the innocence that they betray. All these aspects of our lives represent our perception of the substance within our lives, and any uncertainty that disrupts that perception grows into a day-to-day conflict of what our lives were like. Every moment we fail to change this negative perception drives us deeper into the altered reality of our lives, and only when we get to a point where we are sick and tired of being sick and tired can we change those circumstances. It is more than just a simple concept of addressing our immediate issues by prioritizing them as a daily goal. It is by no means going to be easy because we are trying to change all those years of living with an altered perception. We are not meant to be perfect in any way. All that matters is that we serve our purpose to grow every day by attending to our responsibilities. We must acknowledge that we cannot do this alone. Working with others who are dealing with similar problems will help us see where we fit into society. This realistic perspective will give us a place to start working on sorting things out to effectively address our issues. Relying on one perspective limits our options. We think they don’t know what we have been going through; but by acknowledging that our perspective is no different, it is like seeing our life through someone else’s eyes. The moment we acknowledge that we cannot live like this one more day, and once we decide to come in to get help, we have begun the transition. We will repeatedly question this decision while registering for admission; but the fact is, we simply cannot do this by ourselves, without help in a neutral setting. This transition is delineated by our eliminating the mind-set of staying depressed because we do not know what to do, and by acting to find the rehabilitation program that provides us with a sense of feeling safe as well as with the necessary structure. It is not easy to come in for help knowing how it destroyed our lives; but deciding to stay leaves us with a growing sense of empowerment. Being in an environment that encourages us to express ourselves helps us learn where we belong in society. Something has kept us alive to see that our feelings, emotions, and instincts are valuable. We all see a part of each other in our daily struggles. The phrase “you have a chemical imbalance” is not a terminal prognosis as much as a physiological, response to external stressors and medical issues created by drinking or drugging until we pass out thinking they will go away or balance out. There is only so much that the human body can take, and we begin to think that this is the way life is going to be from now on. We do not know how to stop waking up feeling like life is draining right out of us because we are constantly pumping a chemical substance into our system. We wake up hung over, smelling of alcohol, staggering, eyes sensitive to light, and we soon start to forget some of the little things that are so important to our structure because it helps us sort things out. Some triggers that people have simply start out by entering a store and walking straight to the cooler. Triggers include in-laws, commercials, work, home, personality conflicts, and bills, just to name a few. Medications help stabilize our thought processes although they only work when we take them, but we are the ones that must initiate the process of what it takes to structure our lives. 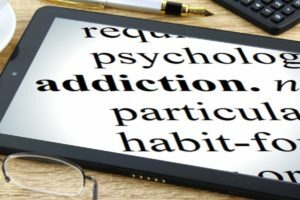 Every time one tries to quit an addiction, it is quickly met by panic fueled by cold sweats, blood rushing to the brain, dizziness, and heart palpitations, followed by our body telling us: “I need a drink, a pill, a cigarette, a joint, or a beer.” The major cause of a relapse is this sensation, even though it may only last five to ten minutes and then go away. The only way to beat these cravings is to become aware that it will only last for five to ten minutes, and we can beat it if we can just hold out that long. When the cravings hit, try talking to someone, playing a game, watching TV, laying down, paying bills, or reading a book until the sensation goes away. Every time we can wait until the sensation is gone, the better our chance of seeing that we do not need it. The more times we are able to beat the temptation, we get stronger. Unfortunately, after several failed attempts to quit, some people start to rationalize that their addictions help them to deal with stress. They even convince themselves that they do not want to quit smoking because they like it; although, if asked, they are usually unable to explain why. In our search to find the answers to our own relationship problems, we must decide that we have to do this. This is the answer. Just do it! The problem is not our work issues, financial issues, image issues, or family issues. The problem is: How do we see our issues? Something always gets in the way of doing what we need to do, and having an addiction perpetuates the situation because we are focused on feeding that addiction. We must realize that all hope of kicking our addiction is inside of us. We may have lost our grasp of the hope within us because our addiction keeps getting in the way. Only by acknowledging where we fit into the continuum of life at this point can we regain hope for recovery. Each day we put one piece from the puzzle of our lives back together. As we look at the big picture, we begin to see just how far we have fallen, and we realize the only direction we can go from here is up. One way to reconnect with society is to find someone who treats us like the person with feelings and worth. They help us express ourselves, which we may not have been able to do for quite some time. We begin to see that our feelings, emotions, ideas, and instincts are not crazy because they feel the same way. We help each other stay grounded in our recovery because we remind each other that we bring out the best in each other. Every time we start to doubt again, we just look back at what that person said at the very moment we needed to hear it. It is moments like this that give hope a tangible substance because we feel our identity slipping away when stress rises, and it manifests itself into a physiological sensation we do not know how to overcome because we are unable to regain our focus. When the pieces of our life begin to fit together with a sense of purpose, life begins to take on a tiny resemblance to the one that escaped our grasp. Sometimes being removed from the source of stress takes a load off our shoulders. For a time, the stressors can no longer affect us. Being in a neutral environment, among people like us, fosters a feeling that we do not deserve to suffer like this anymore. This author is not a licensed therapist, but he has witnessed the miracle of the human spirit. He has spent seventeen years in direct contact with both extremes in mental health hospitals as more than 3,000 patients took their lives back. No one can save you from negativity you choose to bring into your own life, and only you can choose to live with it while your life crumbles around you. You can give your life meaning as you struggle with the negative noises in the space around you. Use the positive things in your life to stay in the lives of those you love.